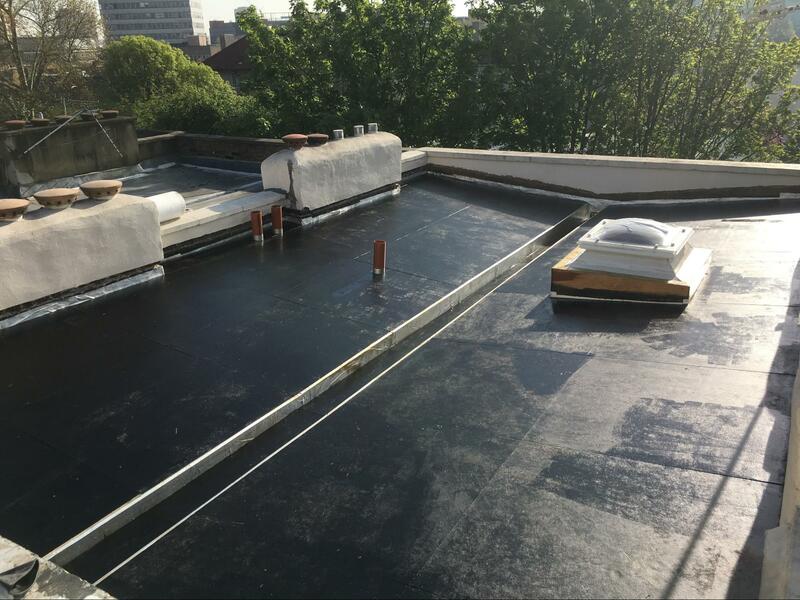 Our experienced and friendly team service, supply and fit an extensive range of roof tiles from traditional clay to concrete. 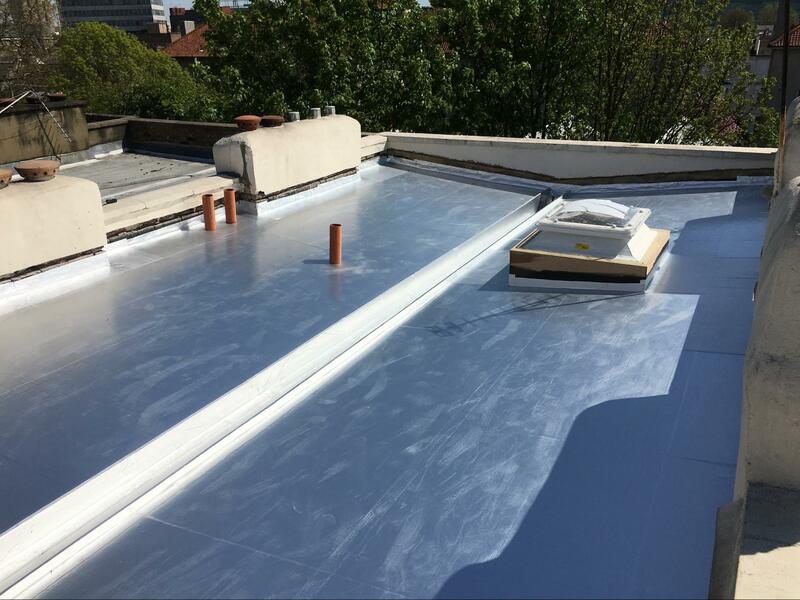 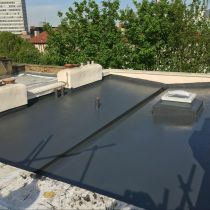 With this particular project we used the Stratex Warm Roof system. 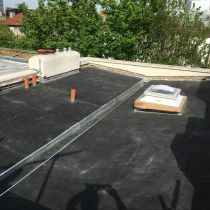 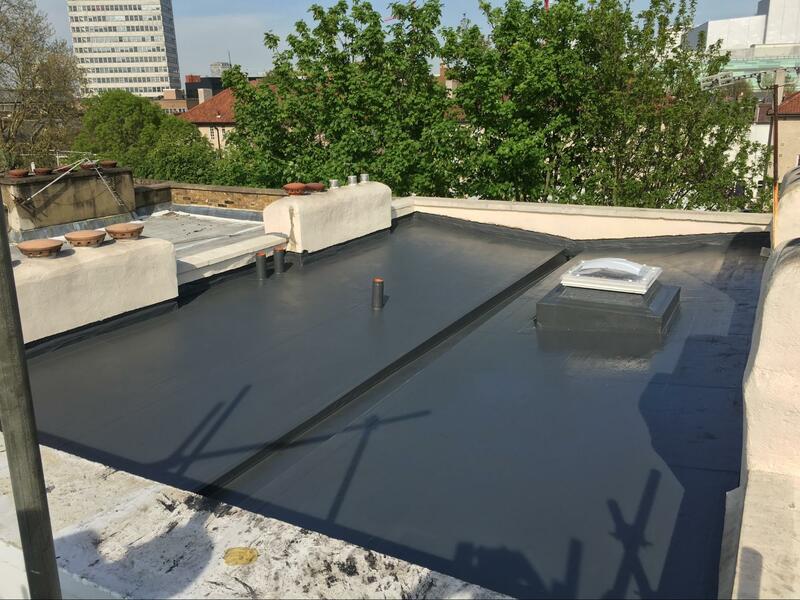 This is a build-up of a bitumen Primer, a Self Adhesive Vapour barrier, a strong adhesive and interlocking Kempertherm FR reinforced insulation boards. 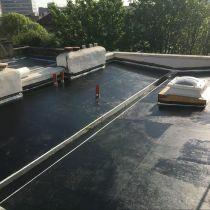 These particular insulation boards come in a variety of thicknesses and have a 3mm thick layer of reinforced bitumen-based fibres to aid a durable and lasting surface. 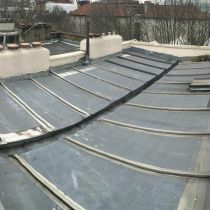 In our opinion this type of system is one of the safest on the market. 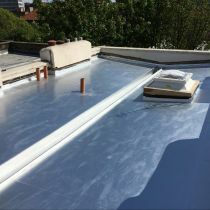 This is because of it being purely a cold installation, therefore no need for any heat from a flame, just the air temperature alone is enough to dry and cure all products used within this system. 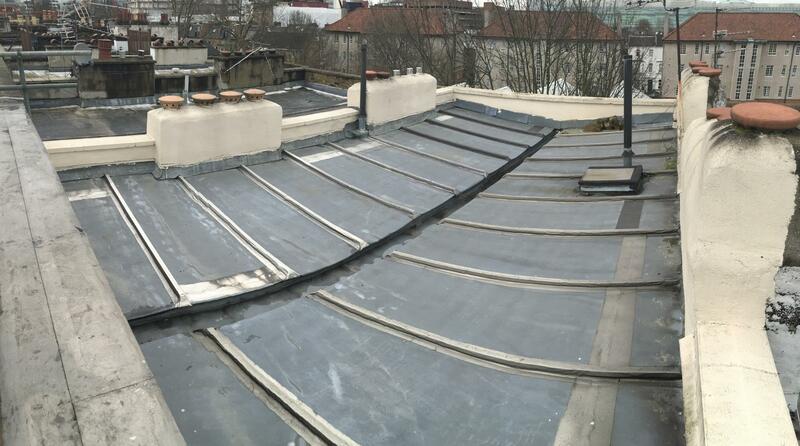 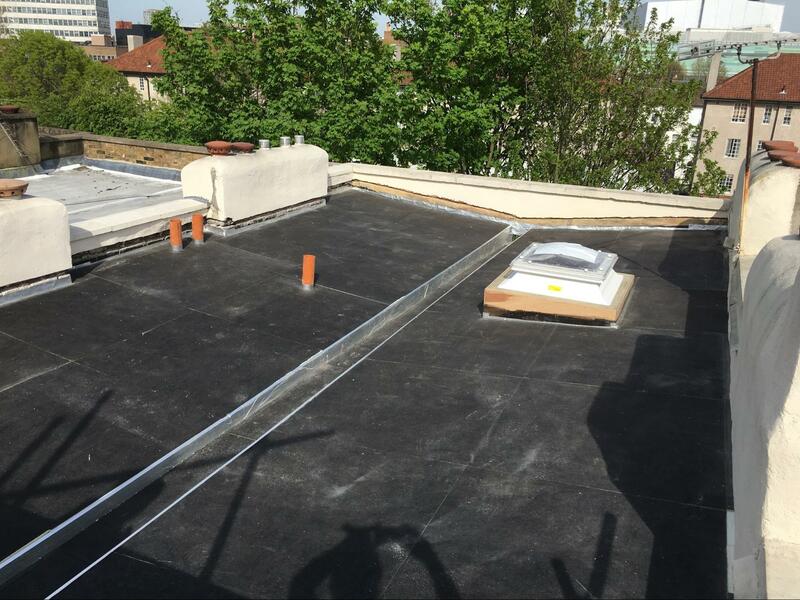 The remit for this job was to remove the old existing zinc ‘London roof’, replace any rotten timbers with new, and install the warm roofing system in its place. 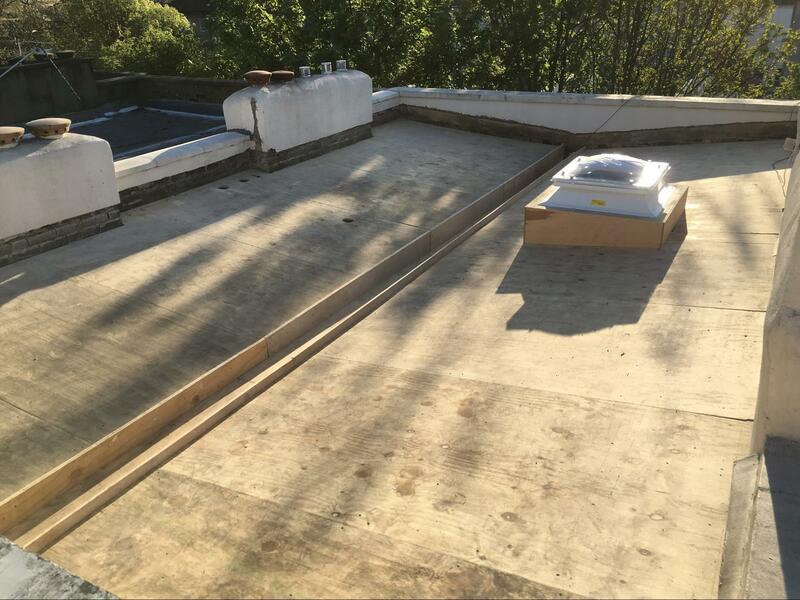 By removing the existing roof we were given, in theory, a fresh blank canvas that allowed us to make any modifications that had to be done. 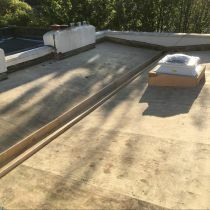 A new skylight and a redesign to the existing central channel were made, allowing it to be deeper than before and making it a far better design to ensure water can flow freely from the roof and that access could be made for future maintenance.